Avondale Auto Body Shop | Avondale Auto Body Repair | Avondale Auto Body Repair Shops | Avondale Collision Repair | Avondale Auto Collision Repair | B&L Automotive Repairs, Inc.
B & L Automotive Repairs, Inc. is well-known for providing expert auto collision repair services to Greater Chicago Metropolitan Area customers for more than three and a half decades. As a family-owned and operated auto repair shop, B & L was begun in 1978 by Bernie Schatz (B) and Lou Stein (L). Peter Rizzo started his career with the company in 1980 and he became the new owner in 1988. Peter Rizzo and his family have persisted in supporting the same values of excellence in auto collision repair begun more than 36 years ago. 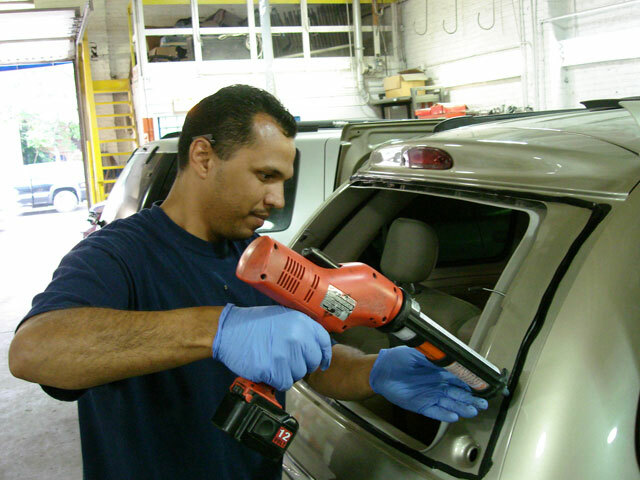 B & L ensures that their auto collision repair technicians are able to get the enhanced training they need in order for the company to continue as the leading provider of the best auto body repair services in the region. It makes perfect sense that Avondale residents regard B & L auto body shop as their first choice for all of their collision repair services. B & L Automotive Repairs, Inc. is conveniently located less than one mile northwest of Avondale, Illinois. Avondale has more than 39,000 residents who call it home, and it is one of 77 community areas in the City of Chicago. Whenever Avondale residents require auto body repair work, they pursue the professional collision repair assistance of B & L. Avondale residents prefer B & L over all the other auto body repair shops because they know we can handle all makes and models, and we will work in partnership with other dealerships and top insurance providers. Whatever manner of services they require, Avondale customers consistently take their auto body repair needs to the attention of B & L’s highly-qualified team of experts who they know will provide them with the auto collision repair services to which they are entitled. When Avondale clients arrive at our auto body shop, they understand that they can expect that our auto body repairs will be both competitively and affordably-priced. B & L Automotive Repairs, Inc. is the only name individuals need to know whenever they require auto collision repair work. We focus on claims management, and we persist in delivering the most exceptional industry-leading auto body repair services conceivable. Additionally, B & L gives its customers an exceptional limited lifetime warranty and guarantees that the parts and materials they use in its auto body repairs are of the highest quality. Once customers come to our auto body repair shop, they will be helped through the auto collision repair process by one of our qualified customer service representatives. When you come to B & L, you can anticipate that we will give you a fair and solid estimate of the costs expected to complete your auto body repair work. We are able to take care of all the quality control checks to ensure that your vehicle is 100% and ready to go back on the road. To receive B & L’s auto body shop’s FREE estimate, today, call us at: (773) 463-1622.